With an ego big enough to describe himself as the greatest poker player of all times, it shouldn’t come as a surprise that Phil Hellmuth also feels the need to share his views on poker and life in general with the rest of the poker world. So, for those of you whose day isn’t complete without hearing about Phil’s pressure of dealing with superstardom, how much he had to drink last week, or you just need to be reminded of how exceptional he actually is, the Phil Hellmuth blog is just the thing you’ve been looking for. 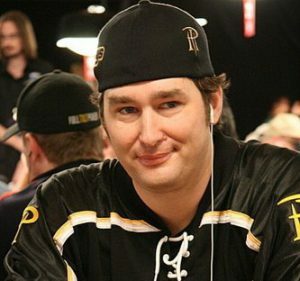 Hellmuth started his blog in 2006 and has done a pretty good job keeping it up to date, posting very extensive updates a couple of times a month, ranging from poker sessions (live and online), his family life and insights into the mind of the ‘poker brat’. A frequently recurring story seems to be that of the ‘burn-out’, being stressed and ‘dealing with the fame factor that drives so many celebs over the edge’. In case you were wondering, no, this is not a quote from Madonna or Brad Pitt, this is Phil Hellmuth speaking, and what a tough life he must have. To be fair though, every now and then there comes a post in which Hellmuth seems to realize that the entire world doesn’t revolve around him. During his last entry of 2009, for example, he reflects on the past decade and actually devotes an entire paragraph talking about fellow poker players like Ivey, Brunson, Negreanu, and many more, congratulating them on their successes and recognizing their talents and achievements. That being said, the main focus of the blog is still on Phil Hellmuth himself, and rest assured that you will be reminded of that fact over and over again. So, if you’re a Phil Hellmuth fan, this blog provides a great opportunity to keep up to date with one of pokers greatest stars. As for the rest of you, the blog will clarify once more why Phil Hellmuth is the player who everybody loves to hate, not to mention the comedic value that comes with it. Click the link if you want to see the latests updates of Phil Hellmuth’s official blog.